Adele scored Billboard's top bragging rights. If there is a "best-of" list for music this year, it's a safe bet to put Adele on top. Billboard has declared her the No. 1 artist of 2011. Rihanna was No. 2, followed by Katy Perry, Lady Gaga and Lil Wayne. The list, announced Friday, takes into account album sales, charting singles, radio airplay and other factors. Rounding out the list was Bruno Mars at No. 6, Nicki Minaj at No. 7, Taylor Swift at No. 8, Justin Bieber at No. 9 and Chris Brown at No. 10. Adele's album "21" was the best-selling of the year with 4.8 million sold. Following "21" on the list: Swift's "Speak Now," Gaga's "Born This Way," Jason Aldean's "My Kinda Party" and Susan Boyle's "The Gift." VIEW THE PHOTOS: Access Hollywood's Top 10 Stars Of 2011! 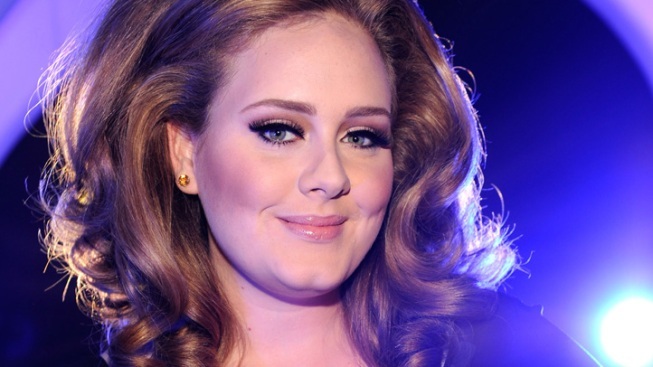 Adele also had the most popular song with "Rolling in the Deep." LMFAO's "Party Rock Anthem" featuring Lauren Bennett and GoonRock was No. 2, Perry's "Firework" was No. 3, her "E.T." with Kanye West was No. 4 and Pitbull's "Give Me Everything" featuring Ne-Yo, Afrojack&Nayer was No. 5. Adele was the top female artist. Lil Wayne was the top male.